We are busy working on another 360 camera with spatial audio by ARKAMYS. Take a sneak peak into our process. ARKAMYS is always working to create the best in 360 sound for everyone’s VR needs. Recently, our audio experts put their knowledge, and our VR-Capture solution, into one more VR camera. Here is an exciting glimpse into the process of making a VR 360 camera equipped to record and transform audio for the virtual reality world. 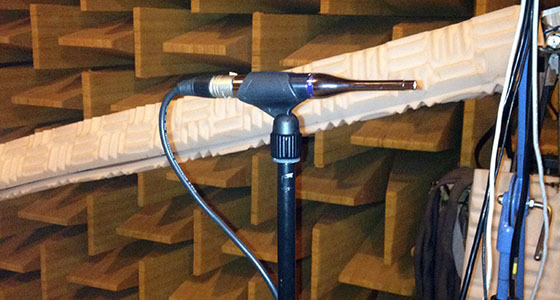 First, the ARKAMYS sound experts take acoustical measurements of the camera’s built-in microphones in our state-of-the-art lab which is full of the highest quality professional tools to eliminate noise and echo and to provide the most accurate results. Once the camera’s microphone has been calibrated and measured, ARKAMYS experts analyze the data to create digital filter coefficients. With these coefficients, the VR-Capture library is adapted to transform the raw audio stream from the camera’s microphone into an ambisonic audio stream. 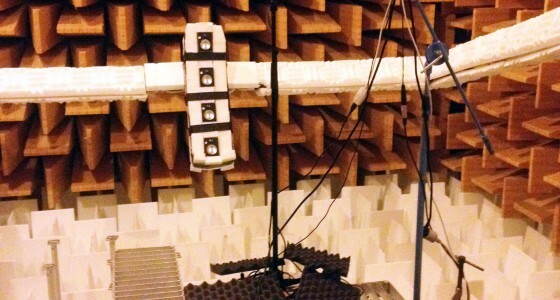 This Ambisonic audio is then completely ready to be merged with the camera’s video. The result is truly immersive virtual reality experience with 360 audio and video. There as so many ways to use the VR-Capture solution to help users move beyond stereo sound and capture 360 sound for the 360 videos. The VR-Capture solution can be ported directly onto VR cameras or it can be included in the PC software suite for video stitching that may accompany VR cameras. No matter how the VR-Capture solution is integrated, it always comes with the highest level of expertise from the ARKAMYS audio specialists, and always produces the kind of 360 audio consumers and content creators want. For more information on the ARKAMYS VR-Capture solution, and VR-Play, its related solution for 360 audio rendering, read the new ARKMAYS white paper on 360 sound. To see a demo of the entire ARMAMYS VR 360 Audio Suite or to get ARKAMYS audio experts involved in your project contact ARKAMYS today.